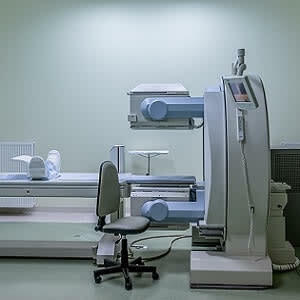 Magnetic resonance imaging (MRI) of the spine is the preferred diagnostic tool for pathologic conditions affecting the spine. However, in patients receiving epidural corticosteroid injection (ESI) for treatment of spinal diseases, interpretation of MR images acquired after the injection might be confusing or impossible. According to a Korean study, pain physicians should consider the possibility of abnormal findings in MR images acquired after epidural injection using the interlaminar approach and the loss of resistance technique with air at the lumbar spine. Researchers conducted a retrospective analysis of patients admitted to the pain management practice centre of a single national university hospital. The aim was to define the characteristics of abnormal changes in MRI findings following an ESI in patients with low back pain. Medical records of 133 patients who underwent MRI of the lumbar spine within 7 days after ESI between 2006 and 2015 were reviewed. All patients were administered an ESI using a 22-gauge Tuohy needle at the lumbar spine through the interlaminar approach. The epidural space was identified by the loss of resistance technique with air. 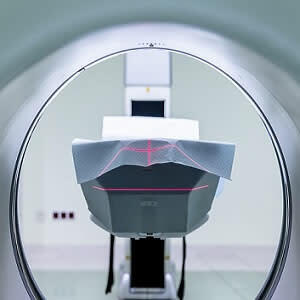 The results showed the incidences of abnormal changes in MRI findings because of ESI were 54%, 31%, and 25% in patients who underwent MRI at approximately 24 hours, and 2 and 3 days after ESI, respectively. 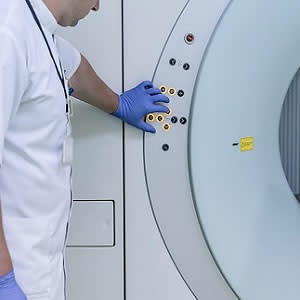 Abnormal MRI findings included epidural air or fluid, needle tracks, and soft tissue changes. Epidural air, the most frequent abnormal finding (82%), was observed in 41% of patients who underwent MRI within 3 days after injection. Abnormal findings due to an ESI were not observed in MR images acquired 4 days after ESI or later. "Previous studies have reported air in 75-77% of MR images acquired after epidural injection. However, in the present study, MR images acquired at approximately 24 hours after ESI demonstrated epidural air in only 50% of cases. The low incidence of epidural air in the present study could be because of the longer interval between the ESI and MRI (approximately 24 hours) in comparison with that in the previous study (3-12 hours)," the authors write. The authors also note that, in the present study, the incidence of epidural air decreased gradually from 50% at 24 hours after ESI to 25% at 3 days after ESI. Additionally, the volume of epidural air tended to decrease as well. Based on their findings, the authors recommend the use of fine epidural needles (22-gauge) when practitioners perform ESIs using the interlaminar approach and air at the lumbar spine. The present study has some limitations, including the lack of post-epidural MRI data from the same patient acquired at different times. "These data were not collected because we judged that subjecting patients to serial MRI would be an ethical issue under these circumstances," the authors say. In addition, this study only included patients admitted at a single institution. Since there is a possibility of discrepancies in the volume of injected air and the size or type of epidural needle amongst different institutions, it might be difficult to generalise the present findings.